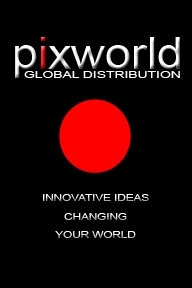 Distribution Opportunity for your Films | Pixworld, Inc.
Distribution Opportunities / Pixworld, Inc.
Pixworld offers North American DVD retail, and VOD film distribution with access to theatrical release as well. Unlike other distributors, we have over 30 years combined experience in distribution and filmmaking, giving us the perspective of both sides. Our mission is to be the most transparent distributor that puts money back in the filmmaker's pocket. Period. Though we'll assist any filmmaker with the right project, our primary focus is on filmmakers who've had bad experiences with traditional film distributors, and filmmakers who are actively approaching investors and need distribution to receive funding. All genres of feature films including international and documentaries are welcome. No shorts.